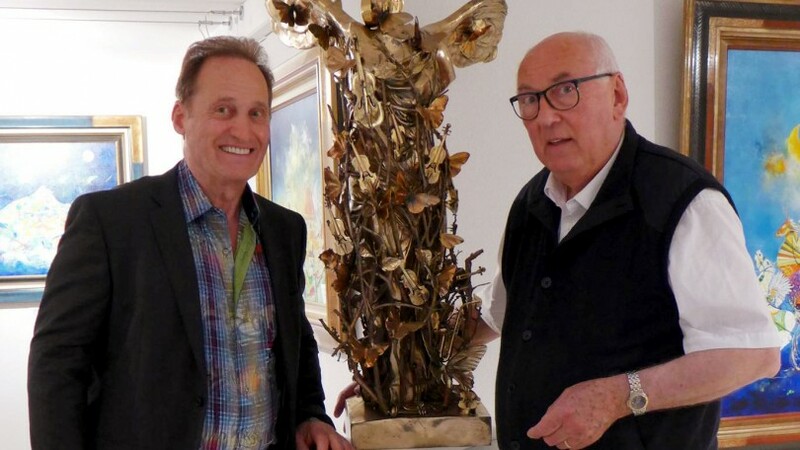 This July and last, I had the privilege of meeting with French surrealist painter François Boucheix at his private museum – Musée Boucheix – in Vichy, France. (This photo was taken this week in his museum.) Last year, my son Marc and I visited with François. This year, my wife Mitsie joined me. Here’s a look at his museum and his extensive personal collection, which represents his work from the late 1950s to today. Learn more about François Boucheix.